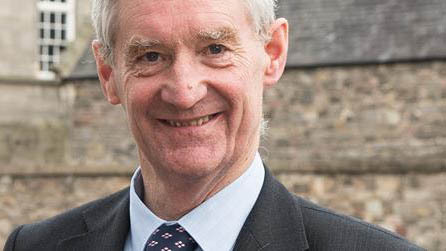 The Scottish Government must bring real change to the agricultural sector as soon as the UK leaves the EU to avoid a cliff edge in 2024, says Peter Chapman, North East Scotland MSP. As the end of March 2019 and our exit from the EU draws ever closer, at last minds are beginning to focus on the task ahead and some movement is evident. As I write on Monday, news of the crunch cabinet meeting at Chequers on Friday is being pored over and dissected. There has been a lot of activity since, as the unified result has not been to everyone’s taste. I wish Dominic Raab all the best as the next Brexit Minister and hope his appointment will be a catalyst for the best possible deal. The Prime Minister Theresa May has at last formed a strategy which people can get behind, and has been congratulated by Scottish Conservative leader Ruth Davidson. Of course her political opponents of all colours are doing their best to undermine all that good work for their own short-term aims. We desperately need an agreed position across all political parties so we can negotiate with the EU 27 from a position of strength to get the best deal we can. We also need to see more willingness from the other side to start making some concessions to find that frictionless deal on trade which is good for us and the rest of Europe. Closer to home, Rural Affairs Secretary Fergus Ewing at last produced a document giving some ideas as to where agriculture is headed post-Brexit. Pressure from our team in parliament and the wider industry over many months meant that the day before the Highland Show, he was forced to show his hand. Going to the show with nothing to say on Brexit for another year was simply not an option. He would have been crucified, and rightly so, if he had attempted that. To my mind, this is still a very woolly document with very little detail and it could, and should, have been made public many months ago. I have always said that Brexit is full of difficulties and uncertainties, but the big prize is the ability to create a new system of support for Scottish agriculture that is much better targeted at our needs than the Common Agricultural Policy (CAP) could ever be. Given that Michael Gove was absolutely clear that the same level of funding for pillars one and two would be available until at least 2022 and that it was for the Scottish Government to design the system of support, it is disappointing that we are not further down the road. At least we now have something to discuss and it is right that the industry is being asked to comment on the various questions being consulted on. I agree a five-year transition period will provide some certainty and stability, but this period must start the process of real change immediately after March 2019 otherwise we will face a cliff edge in 2024 rather than one earlier in the process. The industry knows change is coming and there is a willingness to accept change which we haven’t seen before. Fergus needs to build on that and accept it is for him to come up with some detailed proposals as soon as possible to give this great industry some idea what lies ahead and allow our farmers to plan for their future. That must be his priority.